Cold Hand in Mine was first published in the UK in 1975 and in the US in 1977. The story Pages from a Young Girl's Journal won Aickman the World Fantasy Award in 1975. It was originally published in The Magazine of Fantasy & Science Fiction in 1973 before appearing in this collection. 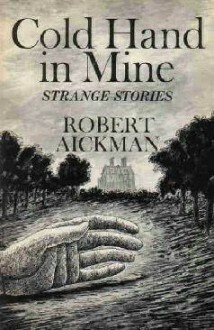 Cold Hand in Mine stands as one of Aickman's best collections and contains eight stories that show off his powers as a 'strange story' writer to the full, being more ambiguous than standard ghost stories. Throughout the stories the reader is introduced to a variety of characters, from a man who spends the night in a Hospice to a German aristocrat and a woman who sees an image of her own soul. There is also a nod to the conventional vampire story (Pages from a Young Girl's Journal) but all the stories remain unconventional and inconclusive, which perhaps makes them all the more startling and intriguing. A marvelous collection, all lovely and creepy. I wonder where my copy is?